This week was a blur. And I mean that literally; by Friday, I was filled with more cold and flu medicine than a CVS and was the breathing embodiment of why they put "do not operate heavy machinery" warnings on prescription bottles. Machine operation was way out the of question for me. I already had a Vegas hangover so when you add in a little overtime, sprinkle in a bit of marathon training, and throw in a dash of jet-lag just for fun... you have the recipe for someone in serious need of NyQuil. Translation: bus. work. work work work work. home. Derrick making dinner. offer to help. fall asleep. wake up. eat. shots of knock-off brand NyQuil. sleep. take more of the juice. back to sleep. repeat x 5. Saturday long run. fall is here. walk to coffee shop. drink iced chai tea latte. etc. I don't know why I added that bit about the tea because it's not really relevant to my point. I guess I'm just too tired to be relevant. 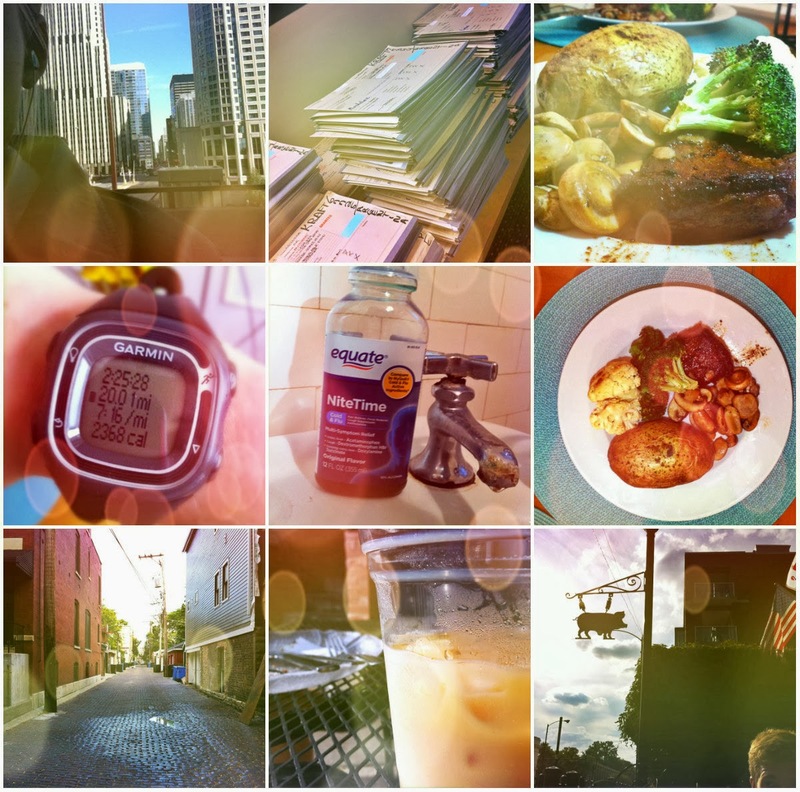 Lately, I've been helping Lindsay, mastermind behind the Lean Green Bean blog, with some stuff on her site. Lindsay is an RN who knows a whole bunch about blogging, food, and just generally coming up with good ideas like Foodie Pen Pals. Basically, Lindsay matches up the 1000+ people a month who sign up with their "foodie pen pal," i.e. the person designated to send them a package of food treats. The only rules are pretty much no sending people with peanut allergies peanut butter and no spending more than $15. I've played board games with harder rules. I signed up for the first time this month and I'm in love. With all of it. 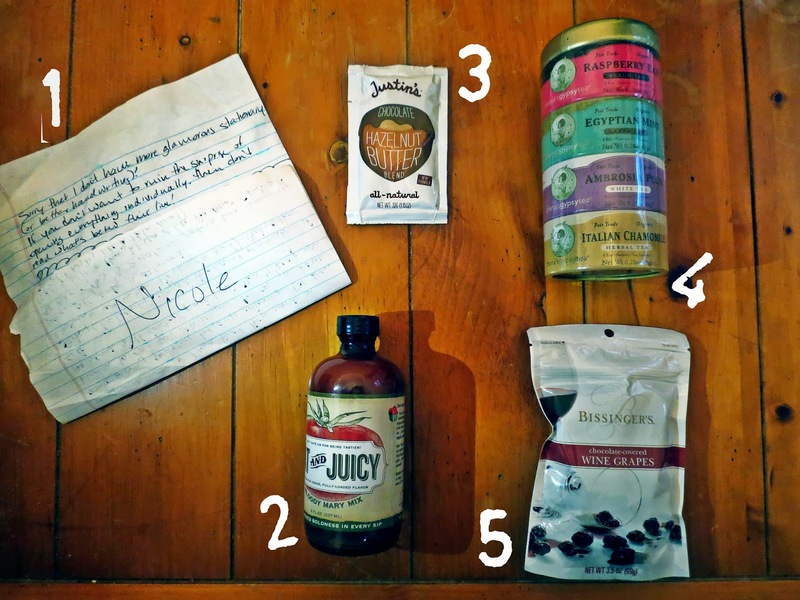 Starting with my Foodie Pen Pal, Esther. After our first emails (to trade addresses), I learned that she is also from the East Coast, also has a blog, and also loves Bloody Mary's (i.e. my new best friend; we've already made plans to meet up over Thanksgiving). 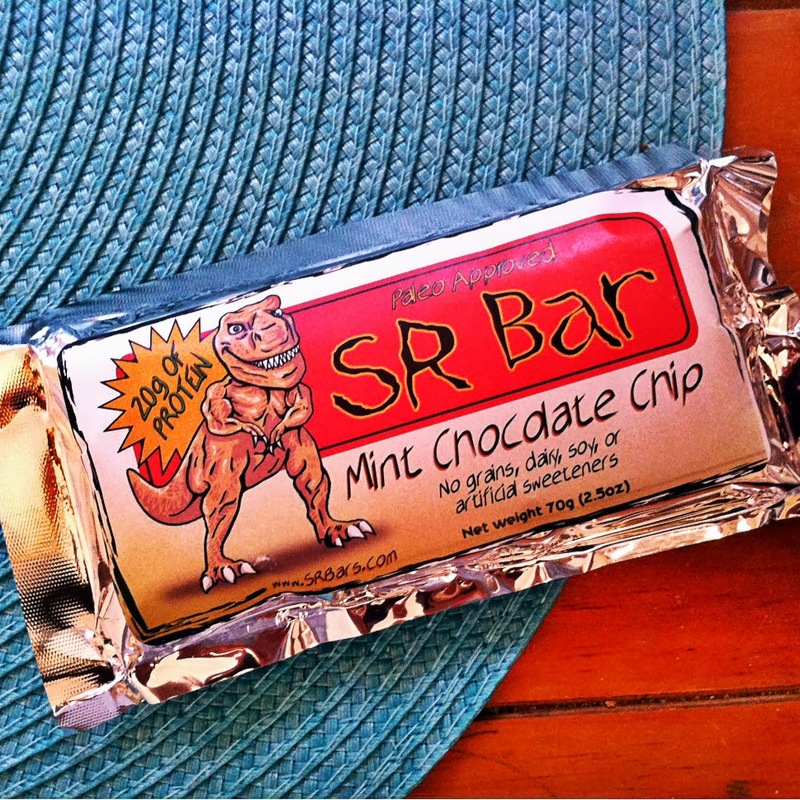 A yummy, "paleo approved" Mint Chocolate Chip Protein Bar. 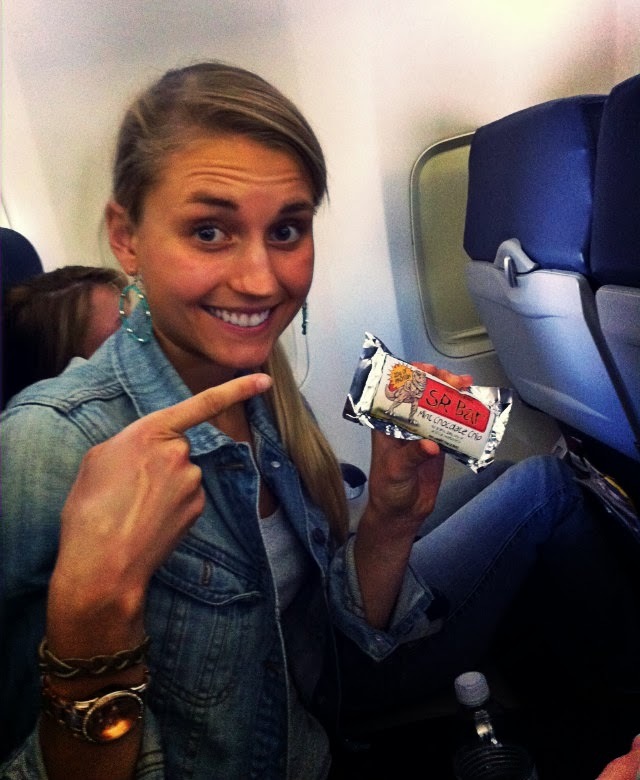 It was delicious and most importantly, passed the "airplane snack worthy" test: it kept Nikki, my hangry alter ego, in check on our 3 hour flight last weekend. If this is how all paleo food tastes, you can sign me up. 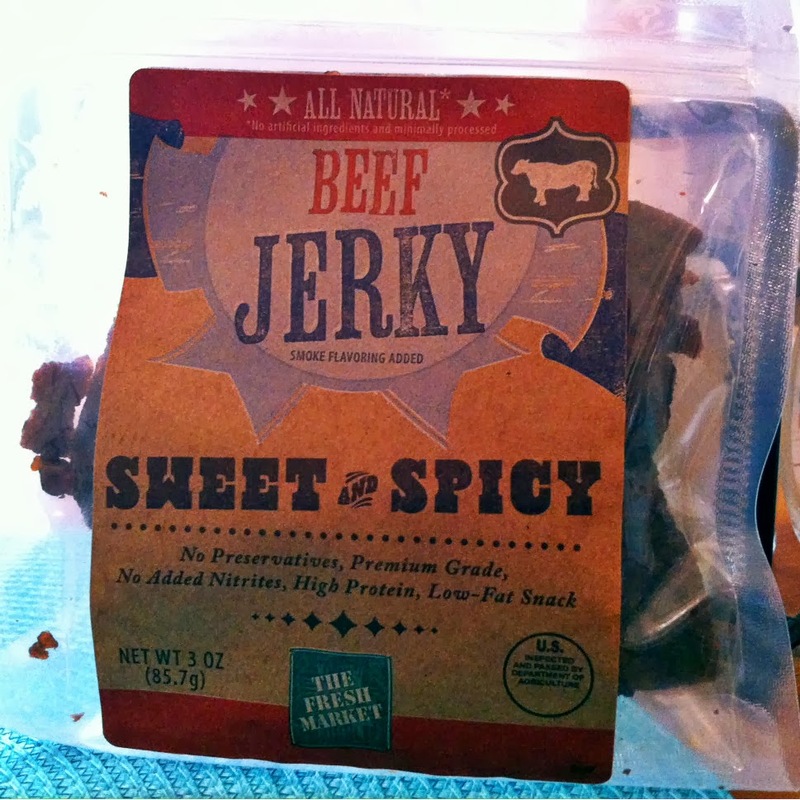 But seriously, I'd recommend these bars to anyone, paleo or not. 1. A lovely, hand-written letter describing the delicious-ness inside. 2. Bloody Mary Mix. Priorities! 3. Justin's Hazelnut Butter (with Chocolate). Don't know who Justin is, but his spread is heavenly and my taste-buds agree. 4. Tea Variety Pack. Can never go wrong with the essentials. 5. Chocolate Covered Wine Grapes. If you do not like chocolate or wine, you are not human. I am human so this snack was perfect! I don't know if I'm just really easy to figure out, but Esther nailed it. Definitely the best mail I've received this month (beating out that confusingly premature AARP ad and my electric bill by a mile). I sent out my package to Esther on September 15th but, while the tracking website says that it has been delivered, Esther still hasn't received it. I'm not sure what funny business the USPS is trying to pull, but if she doesn't get it this week... I pity the poor victim of Nikki's wrath. So that's a wrap. Happy Monday! Tomorrow's Tuesday, which means only one more day until you're halfway done! 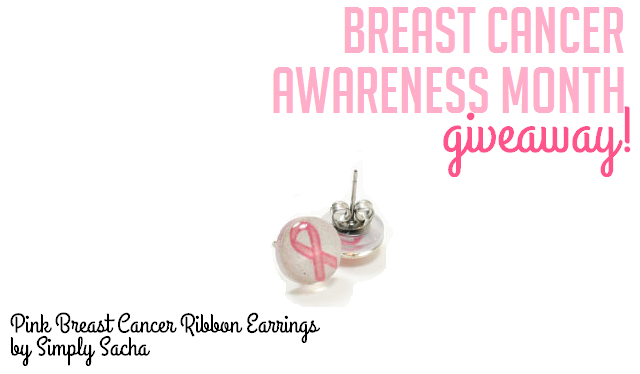 PS - In case you forgot (or, let's be real, in case you already saw but ignored it), I'm hosting a giveaway in honor of Breast Cancer Awareness Month featuring some handmade jewelry by my craft pal Kristy! Check out the giveaway HERE (or else you'll be next in line after the mailman who stole Esther's package).